here is a beautiful article about our Sahaja Meditation Class in Manchester. I hope you enjoy it. Up the stairs at the Whiton Memorial Branch Library, 100 North Main St., in Manchester, on Tuesdays at 7 p.m., a transcendental experience awaits you through Sahaja Yoga. Tony O’Rourke, of New Haven, teaches the Sahaja meditation technique. The calm-mannered O’Rourke learned Sahaja Yoga while studying abroad in Russia in 1990, and has been practicing and teaching it ever since. “It has had a profound effect on my psyche, I feel more calm and it has brought joy to my everyday life. I want other people to know about this and get exposed,” said Mike Kastellorizios, who is a graduate student at UConn in pharmaceuticals and has been practicing the yoga discipline for seven years. 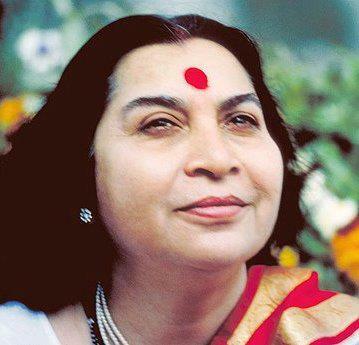 The goal of the Sahaja is to shape one to be a moral, united, integrated and balanced person, according to Shri Mataji Nirmala Devi, who created the Sahaja Yoga technique in India in 1970. Devi died about a year ago, but her technique and philosophy is catching on. O’Rourke instructs his guests every Tuesday on how to awaken and raise their chakras, or energy levels. Chakra means “wheel” in Sanskrit. Chakras are located throughout the body and denote different aspects of our being. For example, the Mooladhara (moo-la-dhara) Chakra is located on the lower center of one’s abdomen, the outside ring of one’s palm and at one’s knees. According to the philosophy, when this chakra is awakened, it becomes a magnetic force within the human body and is the foundation of our channels. The awakening process of all channels balances one’s entire system and enlightens the pure qualities of the chakras within us. This awakening process is the Kundalini, or self realization, according to the Sahaja Yoga website at http://www.sahajayoga.org/. Sahaja meditation is meant to be a collective process, as everyone’s energies feed off each other, says O’Rourke. “No matter what you’re looking for, you will find something here,” said Alin Tomoroga, owner of Propaganda Tattoo Studio on Main Street in Manchester. Tomoroga regularly attends the Tuesday sessions and has been practicing Sahaja Yoga for four years. O’Rourke leads the awakening process through a series of affirmations which are directed to each energy center. These affirmations are meant for the person to push away their sense of self and be in a state of thoughtless awareness. In this state, a person can recognize the energy within them. These affirmations include, “I forgive myself,” “I am not this mind,” “I am not this body,” and “I am not these emotions.” The main energy circuit of a person runs from their heads down to their lower abdomen, said O’Rourke. If an energy center is warm or in pain, then one can focus the attention on clearing the negative energy out. The difficult part of the Sahaja meditation process is learning to be in the state of thoughtless awareness that is needed to be in tune with one’s chakras. “It is not simple and it takes a while to master, but you really need to desire it [the state of thoughtless awareness] from your heart,” said Tomoroga. O’Rourke makes it easier for new guests to feel their own energies by conducting an energy clearing workshop. As a person sits idly in a chair without thought, O’Rourke has someone else raise their energy. understand how these different energy centers are linked to our personalities, and it gives you a better idea on how to relate to others,” said Angi O’Rourke, Tony’s wife. focus on that person’s energy, and in minutes they seem to calm down,” said Angi O’Rourke. than 90 countries worldwide, and it is catching on across Connecticut. Devi believed that spirituality is something one should not pay for, thus O’Rourke makes the Sahaja Yoga sessions free to the public. “This technique helps us to better know ourselves. On a subtle level we are all just energy,” said Tomoroga. To learn more, visit http://www.sahajayoga.org/default.asp, or visit the next Sahaja meditation session at the Whiton Memorial Branch Library on Tuesday nights at 7 p.m.
Great Article! You and Tony make a great team, Angi! Angi – it was wonderful to see this article. I’ll bet that a lot more people will be coming to the meetings. I miss you all and will be back in April after my class ends!